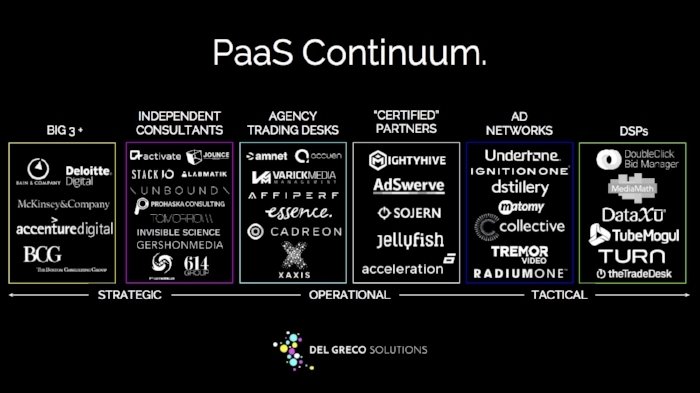 "Del Greco's company is part of a larger industry trend in which brands are looking to multiple agencies and brokers to better understand data and technology." 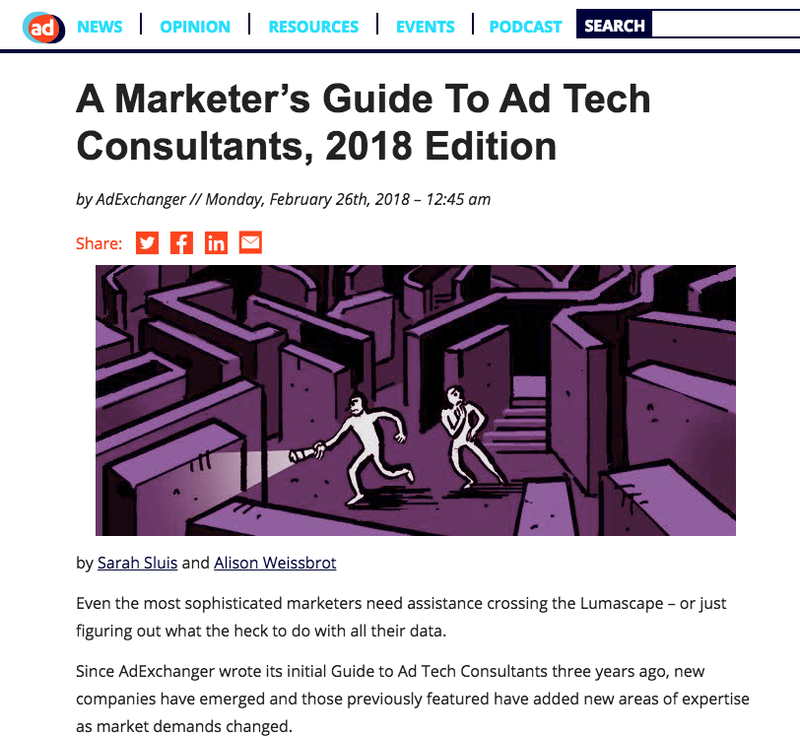 "Even the most sophisticated marketers need assistance crossing the Lumascape – or just figuring out what the heck to do with all their data." "For the open market to again become the dominant means of transaction, both the technology and the service layers we use today will require a quantum leap in sophistication." "Very few businesses can afford to be DSPs today. The costs of servers and other infrastructure is high, ... 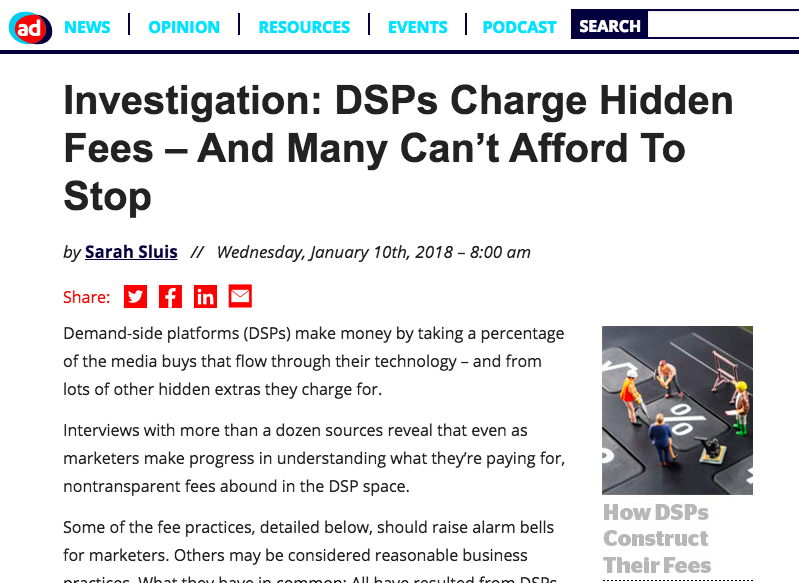 Meanwhile, no one wants to pay a DSP fee"
Nearly half of all US programmatic revenue is generated from mobile ads, yet most large marketers struggle to build mobile strategies that really work. Mobile RTB brings with it a host of new audience signals (think device, location) that require new thinking. From the entrée of large consulting firms to the advent of "certified marketing partners," a great number of adtech staffing options continue to proliferate in the space.